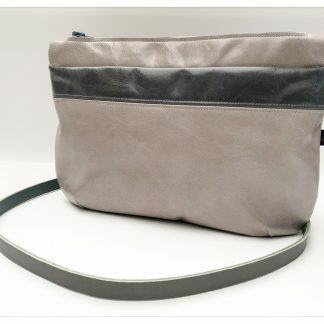 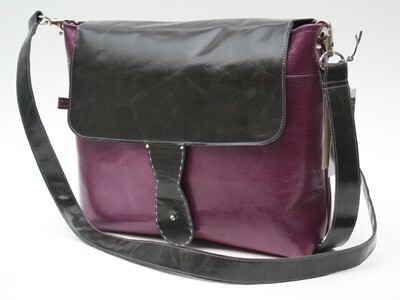 This bag follows on from the original Two Tone Canvas bags. 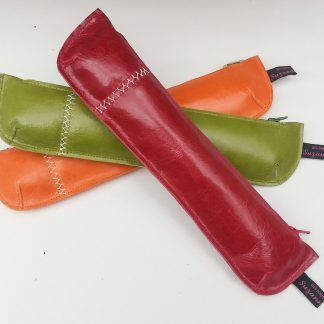 The outer is made using durable waxed cotton and leather cow hide and it is lined with cotton ticking fabric. 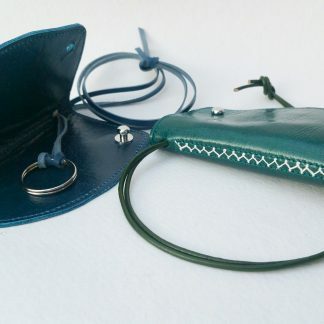 The flap is secured with utility type prestuds which are easy to use and a small trigger hook is sewn into the seams to clip on a key, I find it quite handy for my bike lock key! 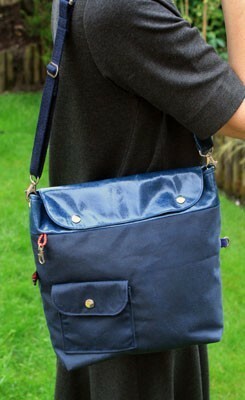 The outside is completed with a handy useable pocket. 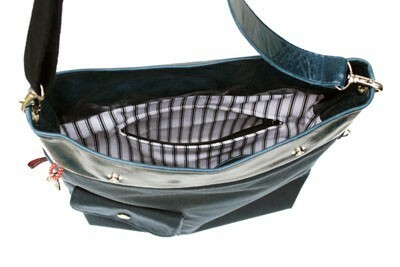 Inside, there is a zipped pocket on one side and a leather phone pocket on the other. 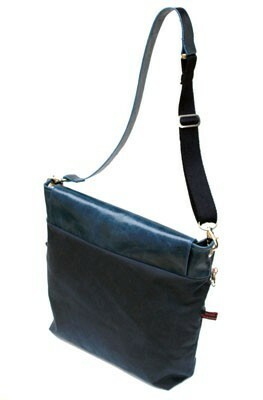 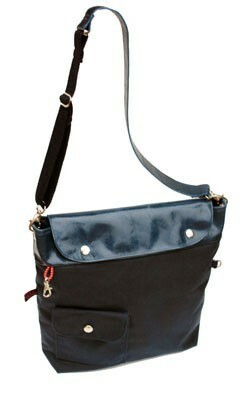 The shoulder strap is made up of canvas webbing and leather and can be adjusted using a sliding bar.